Capacity at Maximum Lift Height: 6,000 lb. Width: 8 ft. 1 in. The DL7-44 GEN:2 Telescopic Handler is a tool to increase jobsite productivity, develop new business and improve your return-on-investment. Comfort comes standard on the DL7-44 GEN:2 Telescopic Handler, boasting 57 cubic feet of interior space. Industry loading jobsite maneuverability with a 12' 2" turning radius. The DL7-44 GEN:2 Telescopic Handlers provides the power to get work done effectively and efficiently. 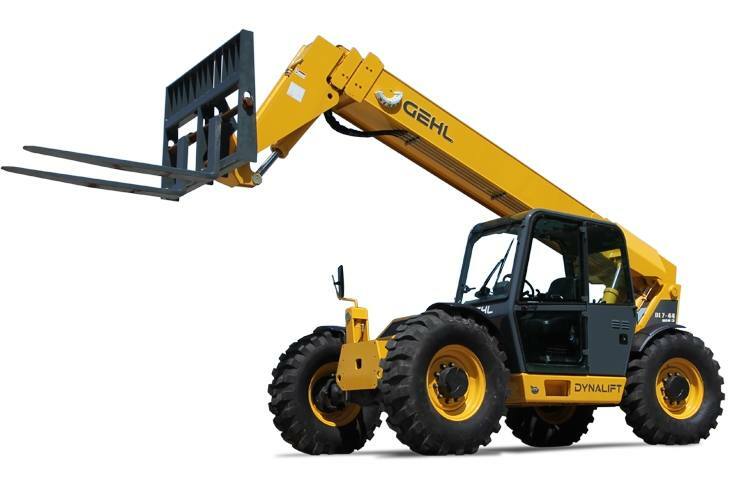 The DL7-44 GEN:2 Telescopic Handler has the hydraulic power to get the job done. Truss Boom - 12' (3.6 m) and 15" (4.5 m) with optional winch.